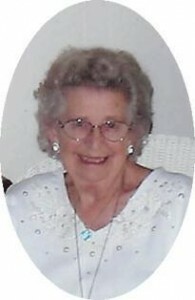 Dorothy R. “Dolly” Barclay, 87, died Wednesday, September 9, 2009 at her Harbor Club residence in Port Washington, Wisconsin. She was born July 11, 1922 in Port Washington to Joseph and Dorothy Feltes Schowalter. On June 16, 1945 she married Dave Barclay of Royalton, Illinois at St. Mary’s Church in Port Washington. They lived at 720 W. Grand Ave., Port Washington for over 35 years. In 1994 they moved to Green Valley, Arizona. Her husband preceded her in death on June 26, 2002. In 2004 Dolly moved back to Port Washington and resided at the Harbor Club for the last 4 years. Her family, led by her husband Dave, has a history of a proud Scottish and musical heritage and early on enjoyed Wisconsin camping trips. When the children were young, often times the family would travel to Elmhurst, IL on weekends to take bagpipe lessons. They established the Barclay Clan Pipes and Drums. Led by Dad, with Dolly on a drum and the children playing the bagpipes and drums, they performed in numerous parades throughout Southeastern Wisconsin each summer. Outfitted in the yellow and black Barclay tartans, the prizewinning band also performed educational programs for schools and organizations. One of their final performances was in the first Fish Day parade in Port Washington in 1965. The house was always filled with music from Scottish Pipe, Symphonies or Bob Dylan to the piano, percussion instruments, guitar or harmonica. Outside her home was a burst of color from her flower garden. Dolly operated “The Little Porch Antiques and Collectibles” for more than 20 years. She enjoyed traveling junkets throughout the years for “the shop”, but one of the highlights of her life was traveling to Scotland with her husband in the early 1970’s. Dolly loved to entertain and knew how to throw a party. From family events to recitals and themed parties for fun, each one provided a fond memory. She enjoyed playing cards with her bridge club and throughout the years she prided herself in her millinery skills and being a creator of greeting cards and Christmas ornaments. She was a member of the St. Mary’s Christian Women and the Daughters of Isabella. She is survived by her children Charlene (Jim) Pott of Corvallis, Oregon, Vicky Ott of Cedar Grove, Joe (Wendy Root) Barclay of Falmouth, Massachusetts, Jessie (Alyn) Lee of Port Washington, Francine Barclay of Port Washington and Heather (Sue Schoneman) Barclay of San Diego, California. Further survived by grandchildren Alexis Pott, Tristan Pott, Billie Joe (Alley Valter) Brooks, Theresa (Ed) Ruszkiewicz, Sarah (Matt) Winker, Laura Ott, Charles Ott, Jr., Sonya Root, Josh (Melanie) Lee, Jonah Rosenthal and Isaac (Emily Bralick) Rosenthal, great grandchildren Spencer Stoller, Rebecca Stoller, Emma Dugenske, Brooke Ruszkiewicz, Madeline Ruszkiewicz, Mikayla Poff, Maggie Winker, Bailey Arndt, Lola Arndt and Dylan Rosenthal, brother Allan (Betty) Showalter of Port Washington, sisters Rita (the late Gerald “Jerry”) Decker of Port Washington, Lenore (Emery) Medinger of Sun City West, Arizona, sister-in-law Mary Schowalter of Tampa, Florida, brother-in-law John Barclay of Canton, Illinois, her extended family of caregivers at the Harbor Club and Harbor Cove, other relatives and friends. Preceded by her husband, sons-in-law Charlie Ott and Walter “Bill” Brooks, brother Jerome “Bud” Schowalter, and sister Sylvia (Fred “Mippy”) Adam. The Reverend Tom Lijewski and Reverend James Ernster will concelebrate a Memorial Mass 10 am Saturday, September 12, 2009 at St. Mary’s Church, 430 N. Johnson Street, Port Washington. Interment parish cemetery. Visitation 4 – 7 pm Friday, September 11, 2009 at the funeral home with a 4 pm rosary and 9 – 10 am Saturday, September 12, 2009 at St. Mary’s Church. Memorials to the Alzheimer’s Association appreciated.